It's so easy to become a little complacent about where you live and I must admit I often have days where I'd love to move away from Cramlington (the Northumberland coast is the dream) but then I quickly remind myself that it's a fantastic place to raise a family. I grew up in Cramlington and back in the 80s and 90s we could only dream that the rumours of a cinema or bowling alley would come true. We made do with an outdated leisure centre and a couple of parks. Now, Cramlington is home to some fantastic facilities for children and today I'm reminding myself of why my children have it so good! This post is going to mark the start of a mini-series where I'm going to share my favourite villages and towns across Northumberland and combine them into one big guide at the end of the year. Let me know if you think I should include your town. Cramlington's population is around 30,000 and dates back to 1135 when land was granted to Nicholas de Granville. St Nicholas' Church stands proudly in the village centre and was completed in 1868 at a cost of £3000. Throughout the 19th century, Cramlington was a small mining village with many mine shafts in the vicinity. In 1964 Cramlington was named a 'New Town' as developers William Leech and J.T Bell developed large housing estates. Cramlington is twinned with two towns in Germany and one in Russia. You can find out more here. Yes that's right! 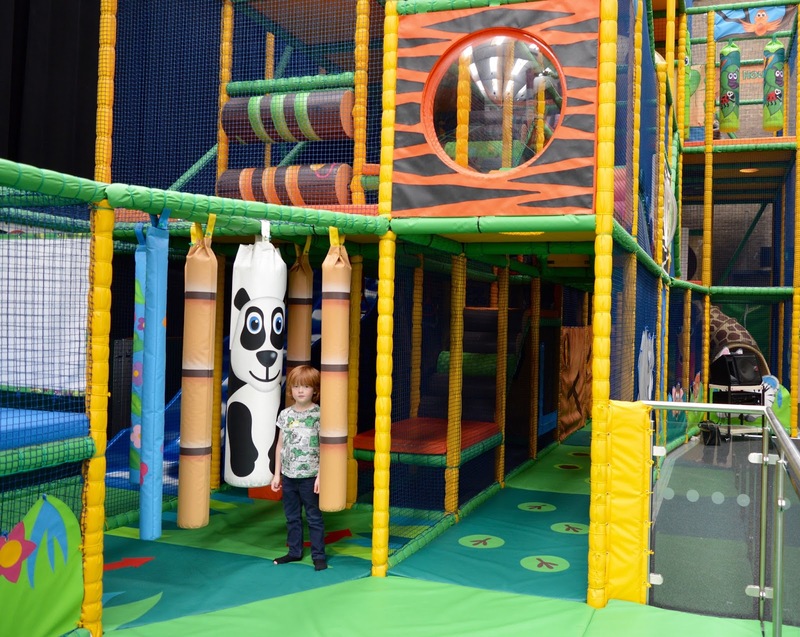 Little ones are spoilt for choice in Cramlington and have 4 play areas to choose from! First of all there's TJs Jungle for ages 0-12 year olds and Gigglewicks Village for ages 0-6 years (check out my review here), these can both be found in Cramlington Industrial Estates. 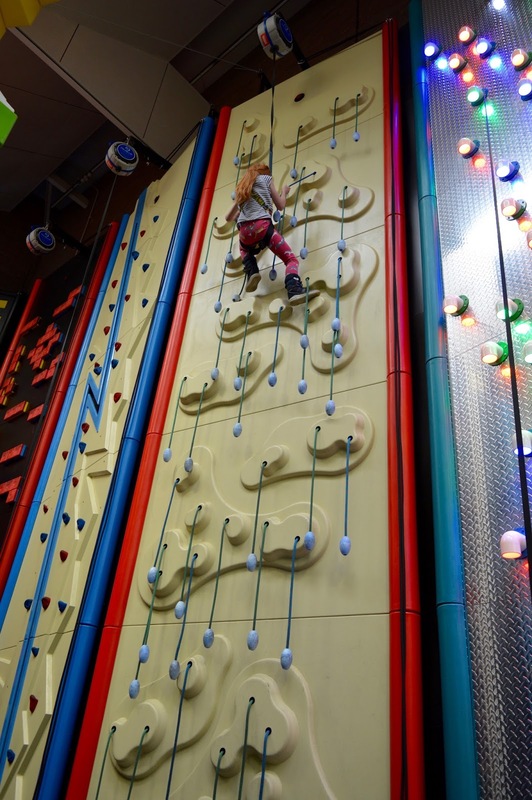 Next up is Concordia Soft Play which is located next to Manor Walks in the town centre and in the same room as Clip n Climb - perfect if you have older children taking part in this activity and younger ones who want to play. You can grab a drink from the cafe too and babies under 12 months go free. Finally, McDonalds in the town centre has it's own soft play and it's FREE! Always a favourite with my three when they are growing up. A trip to the park, pet shop and McDonalds soft play is a free day out when you're feeling skint and uninspired! 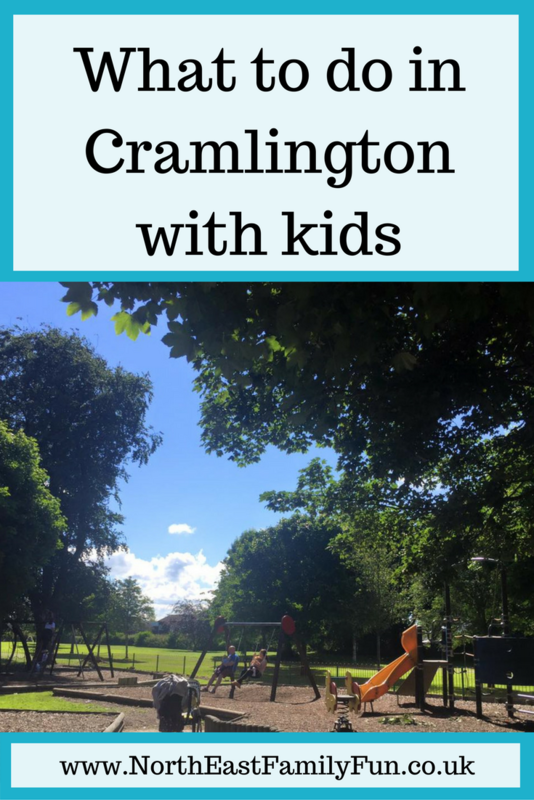 Often older children are left with limited options but Cramlington has it going on! We have our own ten pin bowling alley, clip n climb, roller disco, Vue Cinema AND trampoline park. If you're interested in trying a new sport, Cramlington is the place to be! You can enjoy a family swim at Concordia Leisure Centre (bring another grown up with you so you can escape to their swanky spa) or perhaps you fancy a round of golf at Arcot Hall Golf Club? 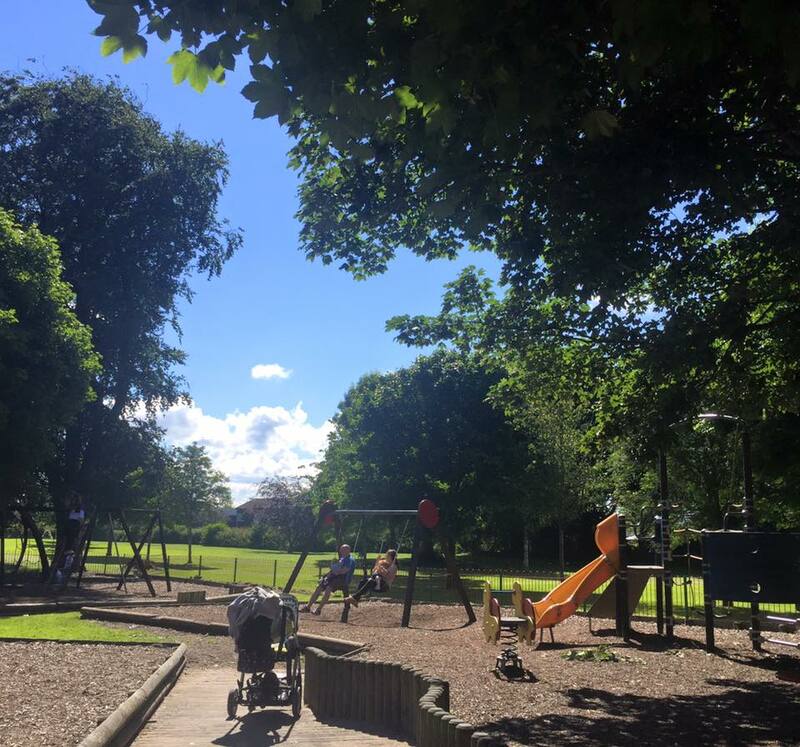 Cramlington is may not have the best parks in the world but they're still ok and nice to add onto a day out or a place to meet up with friends for a picnic. Seven Oaks pictured is just across the road from Manor Walks and probably the most popular. 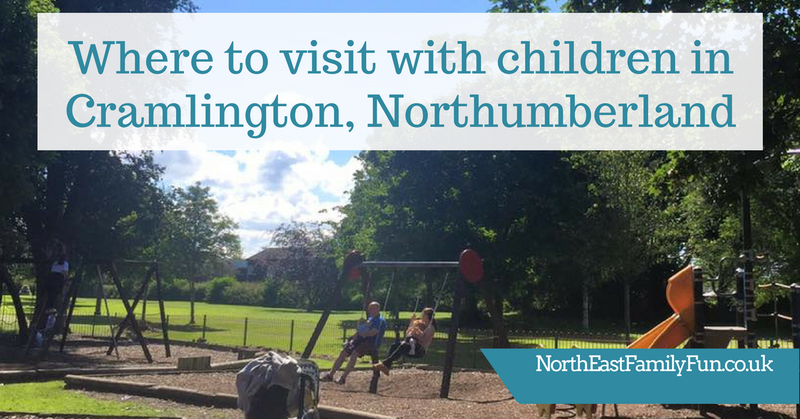 Cramlington is also home to it's own skate park which is large and suitable for both beginners and experts and there's a huge network of cycle paths to choose from making it the perfect choice for a family bike ride - you can even cycle all the way to Blyth Beach. Although Cramlington seems to be monopolised by chains, we are also home to some very good independents too. 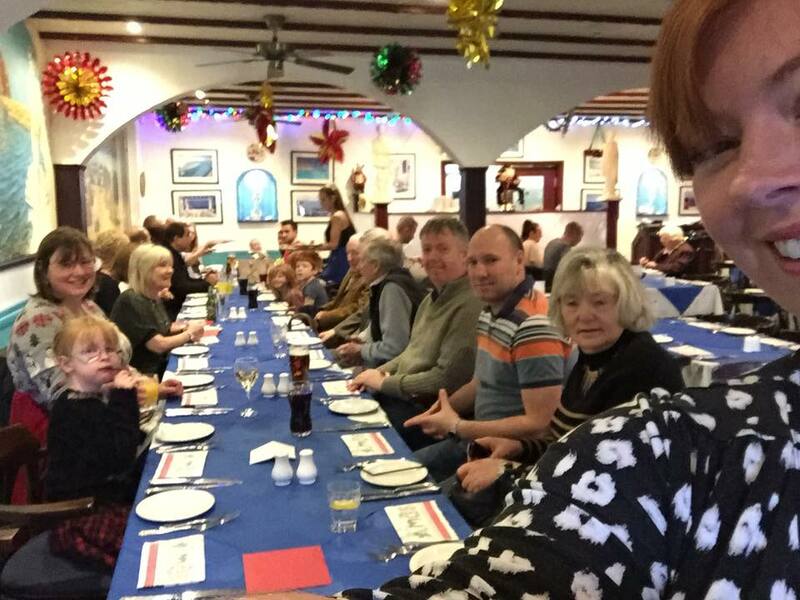 Aphrodite Greek Restaurant (pictured) is my absolute favourite - they serve authentic Greek food alongside pizza and pasta and they serve the best Sunday lunch in Cramlington! Now that my brother has his own restaurant in Whitley Bay, we've kind of neglected Aphrodite a little but I can't recommend enough to families visiting Cramlington. We also have Mandarin Bay offering Pan-Asian cuisine in beautiful surroundings - definitely somewhere to visit if you fancy somewhere special. There's also the award-winning Lal Qila - famous for it's Thursday night special which is always popular. There's an abundance of chain restaurants and pubs too, far too many to mention here - when dining out with the kids our favourites are Nandos and Wetherspoons - both cheap and cheerful and always do what they say on the tin! The kids would probably add Frankie and Bennys to this list too. So there you have it - when you look at your home town, it's not actually so bad after all. We really are spoilt living here and I'm going to try and appreciate what I have on my doorstep more! I'll be back soon with a guide to another Northumberland town or village - I think it may be Felton next. Ahh! I feel about Ashington the way you did in the 80's or 90's. Since they knocked everything down and then decided not to move the council head quarters here we have space for something fun like a cinema or some decent shops. 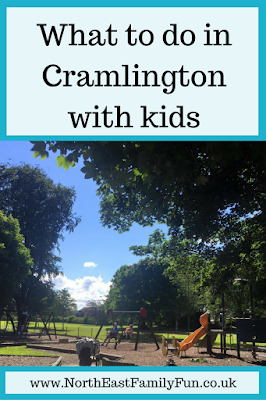 We love Cramlington but don't go often enough.